The spring official Working Test (RWT) in Estonia will be held on 6th and 7th of April 2019. Organizer is Estonian Retrievers Society. Judge is Kurt Becksteiner, Austria. Place: Maria Talu, Tõstamaa, Estonia. Info by email tatjana.zamorskaja@gmail.com or by phone +372 5804 8468. NB! This time we also have NON-official classes judged by Irina Sokolova from Latvia. Puppy class – dogs 8-18 months old or adult dogs who don’t have any diploma for official start. Possible to work on lead; assignments are easier and with shorter distances. Veteran class – dogs older than 8 years. We offer accomodation on location. Maria Talu has small cottages with 3 twin rooms in each, +minikitchen, +shower and +WC. On the entry form you can send your accomodation and catering needs. additional price per dog: 10 € (the whole staying). Only in advance by online form here. Deadline is 25.03.2019 or til places left. After filling an entry form, wait with the payment until you have received a confirmation from the organizer. By email tatjana.zamorskaja@gmail.com or phone +372 5804 8468. 160 eur both days/per dog. NB! As places are limited, only dogs who participate in WT can enter this training. 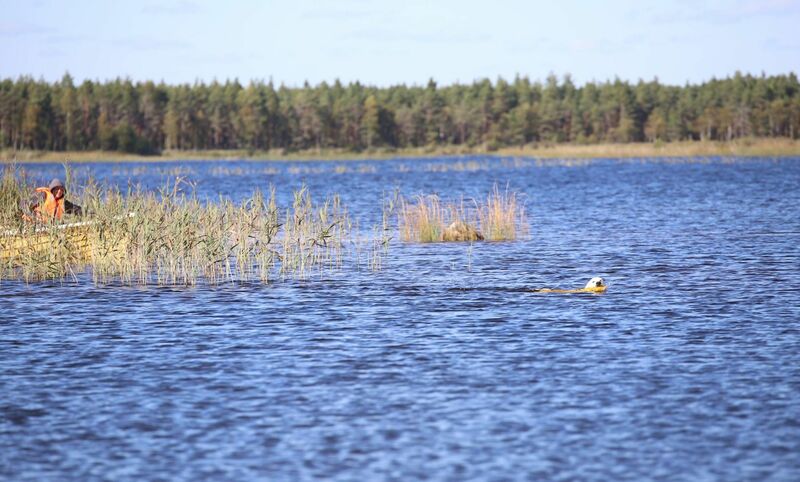 Copyright © 2019 Estonian Retrievers Society - Estonian Retrievers Society.